So you want to drink your coffee? Before it gets cold? Ha! Your kiddos have other plans. That’s why you need a rainbow sensory bottle. Make it in minutes and watch as the kids are occupied long enough for you to drink a cup of coffee! A sensory bottle, or discovery bottle, is a plastic bottle filled with materials that will engage kids’ senses. Which in turn stimulates their brain and gets them thinking! 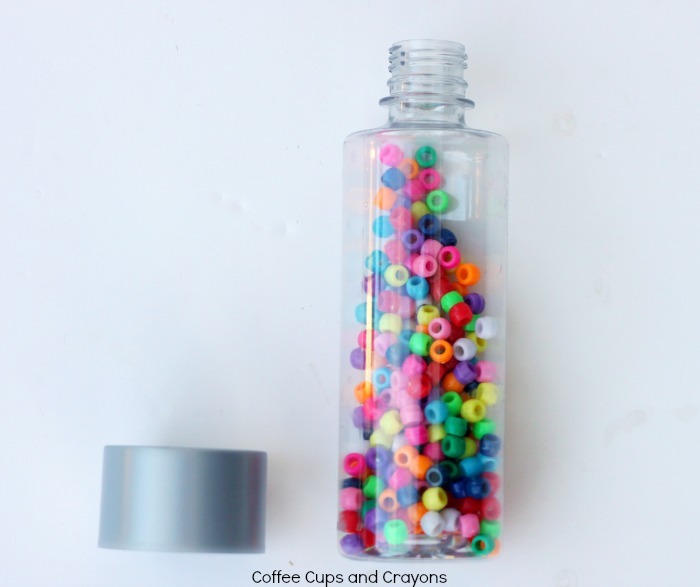 This rainbow sensory bottle is so simple to make that there is no reason to not make it! 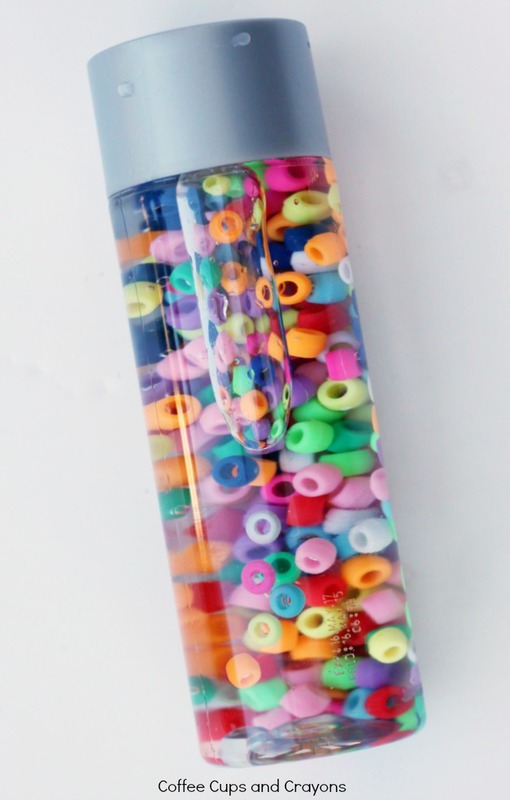 Fill a plastic water bottle with as many of the rainbow colored pony beads as you want. There is really no wrong or right way to make this sensory bottle. 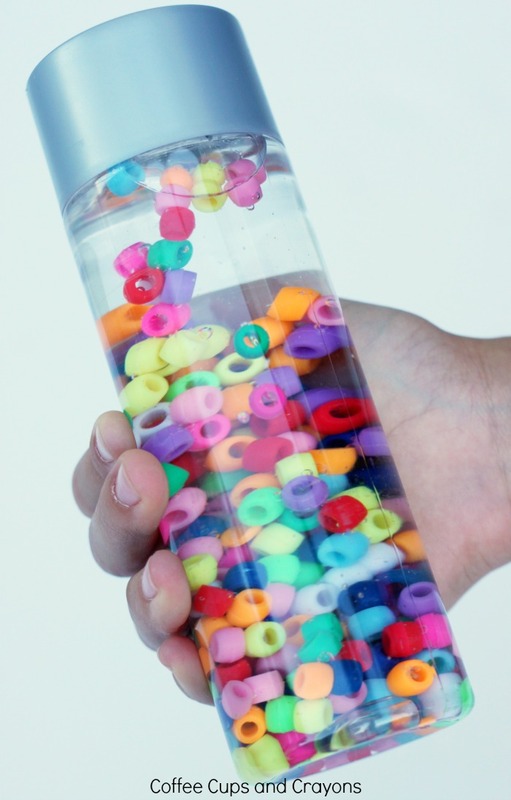 After you have added as may beads you choose fill the bottle the rest of the way with water. If you are worried that your kids will be able to open the bottle you can hot glue the top on at this time. Give it to your kids to shake and tip and turn upside down! Let them explore the colors and the beads however they want. 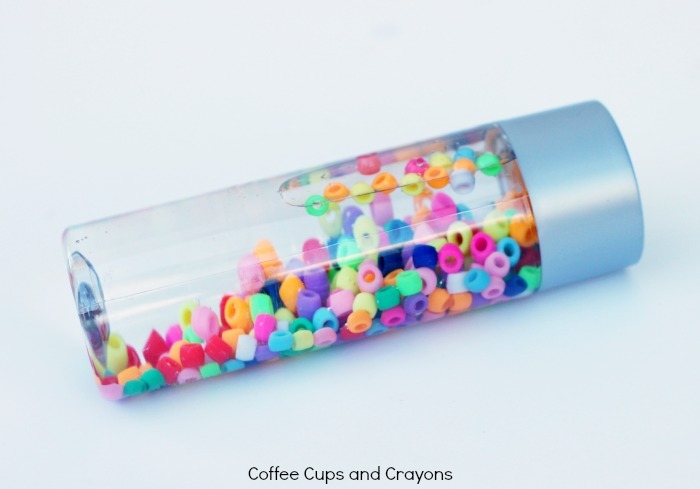 You can encourage them to go on a “scavenger hunt” with the bottle to find all of the colors of the rainbow or even to draw the colors they see. As kids are playing with the rainbow sensory bottle they are not only having fun they are also beginning to explore the properties of gravity and density. Such an easy activity that doubles as a boredom buster full of scientific learning. This is a must do for preschool teachers and parents. Especially if you want some time to drink your coffee before it gets cold! 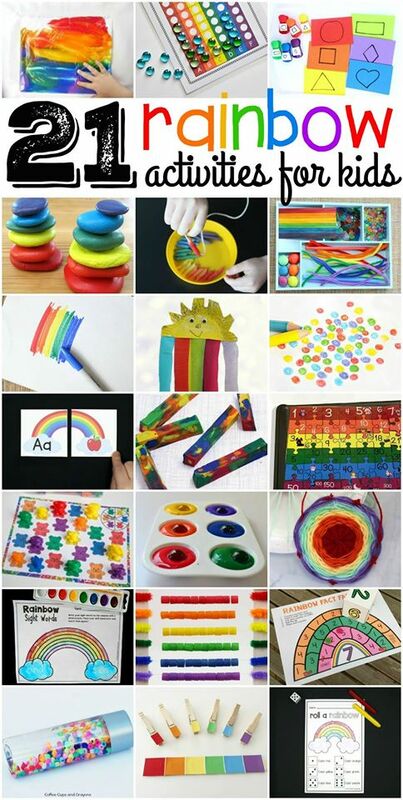 Here are 20 more fun rainbow activities to keep your kiddos busy!